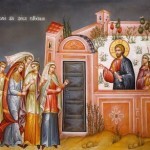 BRIDEGROOM MATINS: CANCELLED, CONFESSIONS: 5:30 PM – 6:15 PM, PRESANCTIFIED LITURGY: 6:30 PM. 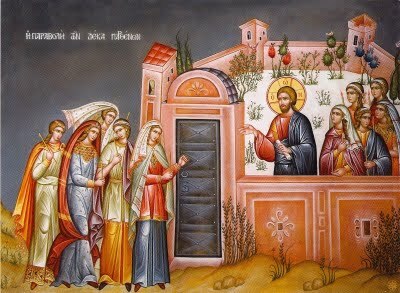 On Holy Tuesday we listen to the Gospel reading Matt 24:36-26:2. We read that Jesus stressed the importance of ethical preparation and wakefulness. He provides examples referring to Noah and the great flood, the parable of the Ten Virgins, and the Parable of the Talents.